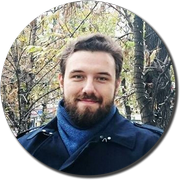 Ivan Yurchenko | Yet another programming blog. Java Virtual Machine (JVM) is a really great platform, mature, and well-established. Apart from lots of normal features used by all developers, there are some that are more low-level, designed to serve more “system” or “tooling” purposes. One example is sun.misc.Unsafe, which gives e.g. low-level access to memory. Another such feature is agents. Аgents are the JVM mechanism that enables external code to integrate with a running JVM, including access to the bytecode before it’s loaded and executed. The basics of Java agents and Instrumentation API. An example agent for metrics collection. Libraries for bytecode manipulation: Javassist and Byte Buddy. hot code reloading tools like JRebel, which are especially useful in Java EE environment. There are two types of agents in JVM: Java agents and native agents. Java agents are in JVM bytecode (i.e. written in one of JVM languages, most commonly in Java) packed in JARs and follow special code organisation convention so as JVM could use them. Native agents are different: they’re in native code (most commonly compiled from C++) packed in dynamic libraries, use JVM Tool Interface, and operate on a more low level than Java agents. Particularly, they can affect the garbage collector, thread management, locking and synchronisation, etc. Profilers and debuggers use native agents. In this post, we’re focusing solely on Java agents. Many developers are interested in making their JVM artifacts (e.g. libraries) available for others. Probably, the simplest way to do this is to publish an artifact to Bintray, which gives free hosting for publicly available artifacts. Also, some teams would like to have private repositories for their shared JARs. In this case, Bintray can help as well. Setting up a Bintray repository. Publishing JARs of a Maven project to Bintray, including sources, Javadoc and tests. Publishing JARs of an SBT project to Bintray + sbt-bintray plugin. All the code used in this project is available in bintray-hello-world Github repository. asynchronous execution of data processing steps inherently involves buffering, queues, congestion, and other matter, which are really difficult to handle properly (please, read “Handling Overload” by Fred Hébert). Therefore, sometimes it is a good idea to express this logic on a high level using some kind of a framework, without a need to implement (possibly complex) mechanics of asynchronous pipeline processing. This was one of the rationales behind frameworks like Apache Camel or Apache Storm. Actor systems like Erlang or Akka are fairly good for building robust asynchronous data pipelines. However, they are quite low-level by themselves, so writing such pipelines might be tiresome. Newer versions of Akka include the possibility for doing pipeline processing on a quite high level, which is called Akka Streams. Akka Streams grows from Reactive Streams initiative. It implements a streaming interface on top of Akka actor system. In this post I would like to give a short introduction to this library. You might be interested in an introductory post about Akka in this blog. "com.typesafe.akka" %% "akka-actor" % "2.4.14", "com.typesafe.akka" %% "akka-stream" % "2.4.14"
Not so long ago I wrote about a little strange problem with time-based UUIDs I faced (Retrospective time-based UUID generation (with Spark)). This time I needed to do something more usual. As you surely know, UUID standard has several versions. Version 4 is purely random numbers, version 1 relies on the identity of a machine and the timestamp with the counter, etc. Let’s consider version 1 UUIDs. They include timestamps with counters, so they naturally can be ordered by it. In other words, having two time-based UUIDs, I wanted to say if the first is lower, greater or equal to the second. No big deal, say, in Java: u1.timestamp().compare(u2.timestamp()). But I wanted to do this in PostgreSQL, inside SQL query. Postgresql does have uuid data type, but it provides no functions for comparing them by version 1 timestamps. That is why I decided to write such a function myself. I have faced a problem: having about 50 Gb of data in one database, export records to another database with slight modifications, which include UUID generation based on timestamps of records (collisions were intolerable). We have Spark cluster, and with it the problem did not seem even a little tricky: create RDD, map it and send to the target DB. However, I was too optimistic – there were difficulties. In many software engineering problems, we have a set and need to determine if some value belongs to this set. If the possible maximum set cardinality (size; maximum size = total count of elements we consider) is small, the solution is straightforward: just store the set explicitly (for instance, in form of a RB-tree), update it when necessary and check if the set contains elements that we are interested in. But what if maximum set cardinality is large or we need many such sets to operate simultaneously? Or if the set membership test is an expensive operation? Suppose we want to know if an element belongs to a set. We have decided that it is acceptable to get false positive answers (the answer is “yes”, but the element is not actually in the set) with probability p and not acceptable to get false negative (the answer is “no”, but the element in actually in the set). The data structure that could help us in this situation is called the Bloom filter. A Bloom filter (proposed by Burton Howard Bloom in 1970) is a bit array of m bits (initially set to 0) and k different hash functions. Each hash function maps a value into a single integer number. UPD June 01, 2015: there is a plugin for this now. A lot of developers use RabbitMQ message broker. It is quite mature but still lacks for some features that one may need. One of them is delayed message delivery: there is no way to send a message that will be delivered after a specified delay (it’s a limitation of AMQP protocol). Hopefully, there is a hack for this. Let’s start from dead letters. A message can become “dead” by several reasons, such as rejection or TTL (time to live) expiration. RabbitMQ can deal with such messages by redirecting them to a particular exchange and routing key. We can use this ability to implement delayed delivery. We will create a special queue for holding delayed messages. This queue will not have any subscribers in order for messages to expire. After the expiration, messages will be passed to a destination exchange and routing key, just as planned. There are several models of concurrent computing, the actor model is one of them. I am going to give a glimpse of this model and one of its implementation – Akka toolkit. In the actor model, actors are objects that have state and behavior and communicate to each other by message passing. This sounds like good old objects from OOP, but the crucial difference is that message passing is one-way and asynchronous: an actor sends a message to another actor and continues its work. In fact, actors are totally reactive, all theirs activity is happening as reaction to incoming messages, which are processed one by one. However, it is not a limitation because messages can be of any sort including scheduled messages (by timer) and network messages.